My first day on the streets started at 9:45 a.m. outside the Victoria Beckham show. The streets are a totally different ball game compared to the photographer pit. The photographer pit is like a class room. Every student working on the same assignment, sitting in their assigned seats. The street is the creative warrior. If you don’t push yourself to the front, you won’t get a good shot. If you’re not standing in the right spot at the right time, you don’t get a good shot. If you’re wearing anything other than running shoes, good luck, and if you’re not familiar with Ninja moves, it would be wise to get out of the way from others who do. What a sight to see. With every black car that pulled up all the photographers went crazy. Running, pushing, yelling “here, here”. 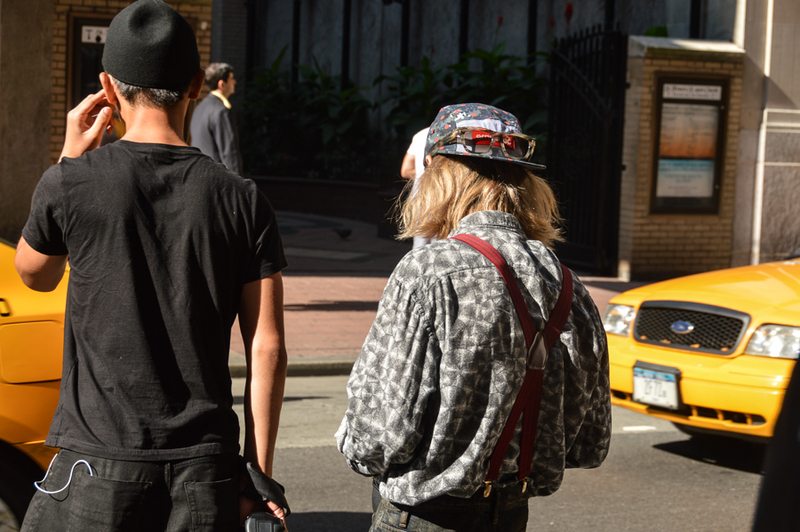 There's an art to street style. Improvisation at it's finest. They have no choice but to work with what they got, and think extremely fast while doing it. Light source is what I learned most from this week. Whenever someone would step out of a black car, the photographers would all run in the same direction. Of course the rookie that I am, would run in the opposite direction [how embarrassing]. I asked Wilson and while he was running to the next person he yelled “Light Source”. Ah of course. Makes sense.